Born in London in 1931, Martin Bradley wanted to be an artist from childhood. His guardian opposed the idea and Bradley left school and ran away to sea when he was fourteen. He served as a cabin boy on the Central and South American run and began to paint, mostly making academic portraits of his shipmates. Back in London three years later, he studied oriental languages, literature and art. Bradley was encouraged by several British scholars of Chinese, Tibetan and Japanese culture, and became particularly interested in the art and calligraphy of China and Japan. In London artistic circles, Bradley became acquainted with the writers known as the 'Angry Young Men', and himself became known as the 'Rimbaud of Soho' because of his unconventional and hard-drinking lifestyle. Galleries such as Gimpel Fils and the Redfern Gallery began to exhibit his work and in 1956 he joined Gallery One. British collectors such as Sir Roland Penrose, Sir Herbert Read and Dame Barbara Hepworth acquired works by Bradley, and when he went to Paris in the late 1950s he was taken up by Rudolphe Augustinci, director of the Galerie Rive Gauche, who was notable for showing artists such as Max Ernst, Yves Tanguy and Rene Magritte. Augustinci promoted Bradley's work in Europe; and in London, Victor Musgrave continued to exhibit Bradley's paintings at Gallery One. Bradley's work from the 1950s and 1960s is primarily abstract, with strong calligraphic and symbolic influences. 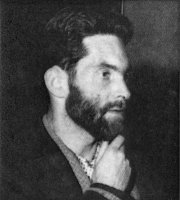 Bradley lived for some years between Ibiza and Paris, and spent much of 1958 in Brazil on a scholarship. In 1961, after a personal crisis, Bradley served briefly in the Spanish Foreign Legion, before deserting and returning to London. In the later 1960s and early 1970s, Bradley travelled extensively in Asia and cultivated his gift as a linguist: Bradley is able to speak more than ten languages including Chinese, Japanese, Tibetan and Hindi. He became a convert to Nichiren Shôshû Buddhism 'which changed the whole foundation of my thinking', and has lived in Italy, France and England. Since 1954, Bradley has had more than 130 solo exhibitions and his work has been collected world-wide. He has lived in Belgium with his Japanese wife, Tatsuko, since 1989. He continues to paint and exhibit and also to study and make translations of Buddhist texts from Japanese to English. Museum of Modern Art, New York. Chicago Art Institute, Chicago. Institute of Contemporary Art, Memphis, Tenessee. The Art Gallery of South Australia, Adelaide. The National Gallery of Victoria, Melbourne. Museu de Arte Moderna, Sao Paulo. Museu de Arte Moderna, Rio de Janeiro. Taiwan Museum of Art, Taiwan. The Contemporary Arts Society, London. Silkeborg Kunstmuseum, Denmark.Musée d'Ostende, Ostende. The Tung-Lin Monastery, Hong Kong. The Peggy Guggenheim Foundation, Venice. The Museum of Fort Lauderdale, Fort Lauderdale, Florida. University of South Florida, Tampa. The Open University, Milton Keynes, UK.Collection Air France, Paris.